Are you hoping that your experience as a producer and a songwriter may let you be more involved than what may have been in the forecast? I’m down for doing whatever needs to be done and that’s how I go into any project. If I feel that I can’t do something then I’ll be the first to step aside and let someone who can do it step in. I don’t ever claim to be Mr. Know It All or anything but I do know what I’m good at and I do know that I didn’t join this band just to play guitar. I came in as an accomplished songwriter and producer and I believe I can bring a lot to the table in that aspect as well. Moving outside of music, you have got your clothing and also your design company. Did you move that over to Las Vegas also when you moved? I moved the entire corporation there. Everything we create is made in the USA but I’m still looking for a location to open up one official store. Right now you can only buy the stuff online at AshbaSwag.com but it is definitely a dream of mine and it’s kind of like my baby. It’s the art side of my brain and it is incredible to be able to make hand stitched one of a kind clothes, like my stage clothes, and make them available for fans. When you watch me on stage, anything I have on, you can go directly to the website and purchase it by the exact same maker. She’s also now working exclusively for Ashba Swag which is amazing because she has thirty years of clients ranging from Motley Crue, Marilyn Manson to Rihanna; you name it and she has made their wardrobe. We have a really strong team behind Ashba Swag. Is that just the perfect outlet outside of music for you then to have the design company and Ashba Swag? It is and it has been one of those things that I’ve been able to crash and collide the art of music and the art of graphics and stuff together. Those two worlds live within each other so it has been really cool. How does it all work out for you though when you’re on the road as much as you are with Guns N’ Roses? My sister is actually my assistant, one of my main assistants, and she runs like the entire thing but I oversee everything. Nothing gets approved and nothing gets done unless I okay it. That’s not because I’m a control freak, at the end of the day it’s my name going on it and if it’s not something I’d put in my closet, then it’s not going in the store. I don’t care how much money I’d make off it because I never built this company around money. This was just an artistic outlet for me and while some people like to paint pictures, I love to design graphics and clothes. That just goes back to your comment earlier about making sure everything is better than the last thing. Exactly. Each new piece of clothing has to be better than everything in my closet. Quality is everything to me. We’re about to launch a brand new store and brand new website, actually probably today or tomorrow I will be launching it, but you will have to check it out as it is really something. We’ve dumped a lot of money and time into rebuilding this to make it very user friendly for fans across the world. So you are available to fans outside the US? Yeah, we ship worldwide. I love it because it is a place that you can go to shop where there’s no season so you can buy a winter jacket in the middle of summer if you want or a swimsuit in the middle of winter. If it is summer here then it’s going to be winter somewhere else. I try my best to cater to everybody by not having seasons. 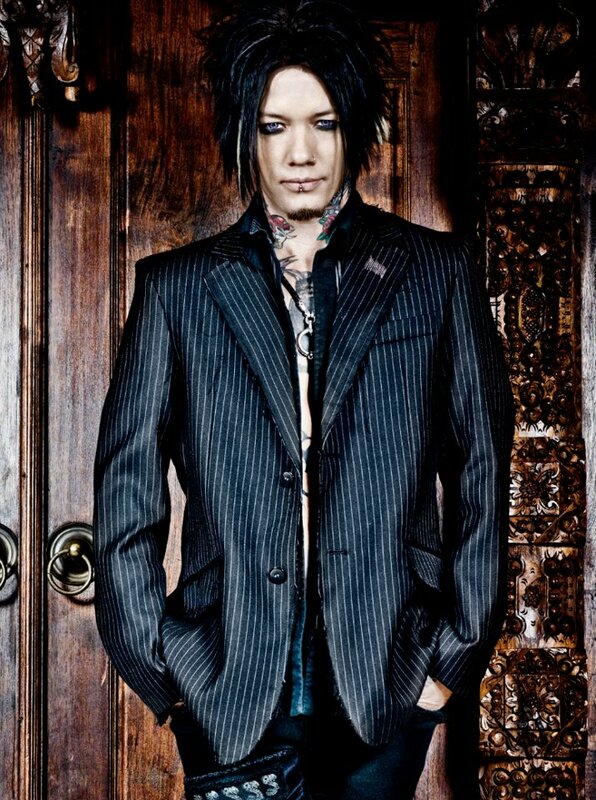 Going back to music projects again, you have Sixx: A.M. which we know of but years ago you did release a solo album, have you thought about more solo work in the future? I’m so busy that I really don’t think I will, well it’s not in my near future anyway. I don’t see it happening but you never know. The last question I have time for and I want to ask about is BullyVille (http://www.bullyville.com) who you just become a spokesperson for last month. This is a very big topic and one that I do feel it would be beneficial for readers to know of. How did it come around that you would be working with them and how important is what they are doing to you? It’s incredible. I can’t begin to tell you what I’ve lived with and it has been a lot, through my entire life. I’ve buried a lot of heavy heavy heavy family issues and when I heard about BullyVille and I became aware of it, it was something that really touched and inspired me. It gave me courage to sit there and upload my whole life and what it took to get where I am. I could have sat back and shut my mouth and let other kids go through what I did on their own with no help, which wasn’t fun at all, or knowing all of the pain and loneliness that I’ve dealt with and all the issues I had to figure out on my own, no matter how much it hurts to talk about it, I could go out there in the public with my story. It was something that was really hard for me to do but I look at it like if it helps one person then it was all worth it. It’s kind of weird because I’ve smoked cigarettes since I was fourteen years old and the day I came out with my story, I haven’t smoked since. I don’t know if it is related but I think I would subconsciously sit in my hotel room and chain smoke and I think it was my way of not caring about myself because of what I went through. I was probably trying to subconsciously kill myself just because I was hiding so much. Now that I’ve come out with that story I’ve been going out every day and not barricading myself in my room. I finally feel like someone woke me up and I hope that my story can hopefully wake some other kids out there up and give a chance at life again.